A new earthquake early warning system in testing since 2012 has helped BART keep trains running in the event of an earthquake and could have broader applications for the public, officials said today. 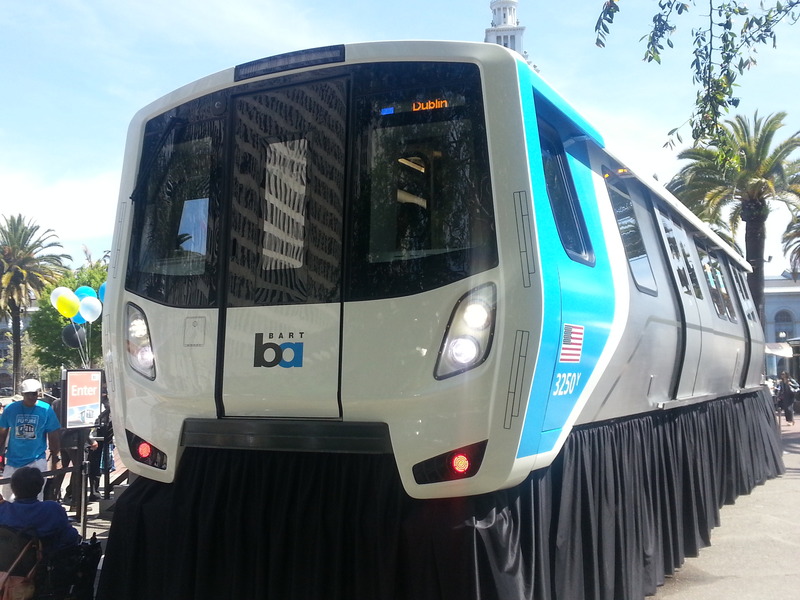 The new system can give BART up to 10 seconds of notice before an earthquake, enough time to stop a train going 30 mph and significantly slow a train going 70 mph, preventing derailments, injuries and deaths, BART Director John McPartland said at a news conference at the agency’s Embarcadero station in San Francisco this afternoon. McPartland said the system operated as intended before a 6.0-magnitude quake hit at 3:20 a.m. Sunday and caused significant destruction in Napa and Vallejo. BART trains were not running at the time of the quake, however, necessitating no action by the transit agency. The system has applications beyond warning BART of impending earthquakes and Richard Allen of the University of California at Berkeley Seismological Laboratory called today for state or federal funding that would create a public early warning system. Allen said that such a system could have many applications. While it could not give more than seconds of warning, it could be enough to stop motorists from driving onto a bridge, slow down traffic or even inform an eye surgeon that it’s time to stop. He urged California residents to contact legislators to help secure funding for the system, which could alert the public through cellphones, computers or even smoke detector-like devices. “This is a critical need here in earthquake country,” Allen said. The state Legislature passed a bill that was signed by Gov. Jerry Brown last September calling for California’s Office of Emergency Services to develop an early warning system, but said funding for the system could not come from the state’s general fund and would have to come from other sources. U.S. Sen. Dianne Feinstein, D-California, said in a statement today that two bills moving through Congress could send resources for an early warning system. Allen said that the system can detect small amounts of energy radiating from epicenters prior from the quake. Sensors all over California stream data into the system, which can detect the energy and send an early alert. Officials from the U.S. Geological Survey said today that the test system provided a five-second warning before Sunday’s quake hit, and within three seconds had estimated the magnitude of the quake to be 5.7. BART’s use of the system is the first of its kind for a transit agency as it remains in testing, but BART officials said today that it is only a part of a massive seismic retrofit project that has improved earthquake safety systemwide over the last decade. 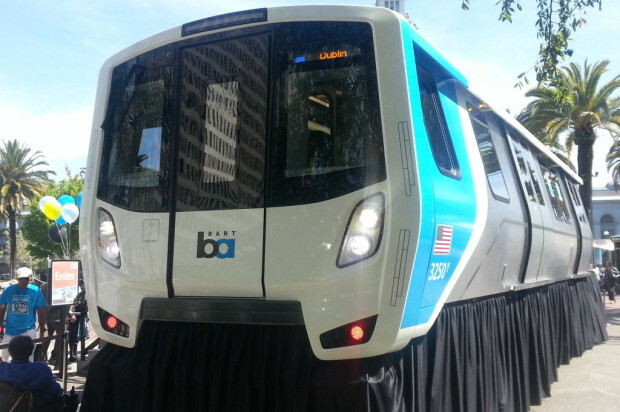 Bay Area voters approved a $980 million bond in 2004 to fund the safety improvements and today BART has completed work on 24 of the agency’s 34 stations and 70 of its 74 miles of tracks. BART officials said today that the work has paid off—no earthquake-related disruptions were reported on BART Sunday, while Amtrak tracks through the Capitol Corridor were closed for the morning and early afternoon for track inspections and Caltrain reported delays throughout the morning. BART Director James Fang called it a “magnificent indication” of what the nearly $1 billion bond was used for. BART also recently completed retrofit work on the Transbay Tube including flexible seismic joints, transition structures and structural upgrades. McPartland said today that the tube under the Bay is one of the safest places in the BART system in the event of an earthquake. “That thing is just as solid as you can get,” he said.